When an an alien fugitive (the titular character SHEBORG) crash lands on Earth she does what she knows best and seeks to control the inhabitants of the planet. By slowly turning her victims into cyborgs that feed on flesh her plan is now in motion. Meanwhile anarchist Dylan and her friend Eddie join forces with the lead singer of a band to free some puppies from a puppy farm. The cyborgs are growing in numbers and with the help of a local power source the Sheborg will call on her species to take over the rest of Earth. Soon Dylan and her friend will have more to contend with when they reach the puppy farm, and it won't be easy to save the puppies and mankind. Action, adventure, horror, sci-fi and comedy collide in this punk filled film. The leads of Dylan (Whitney Duff) and Eddie (Daisy Masterman) are both entertaining to watch as they progress through the film. The borg is more in the vein of the borg from Star Trek, though if it crash landed at a scrapyard and had to make do with what was on offer. The soundtrack is a big part of this films charm and features music by The Mercy Kills and KidCrusher among others. SHEBORG is a 50's B-movie plot trapped in a 80's homage film but filmed in the 2000's. 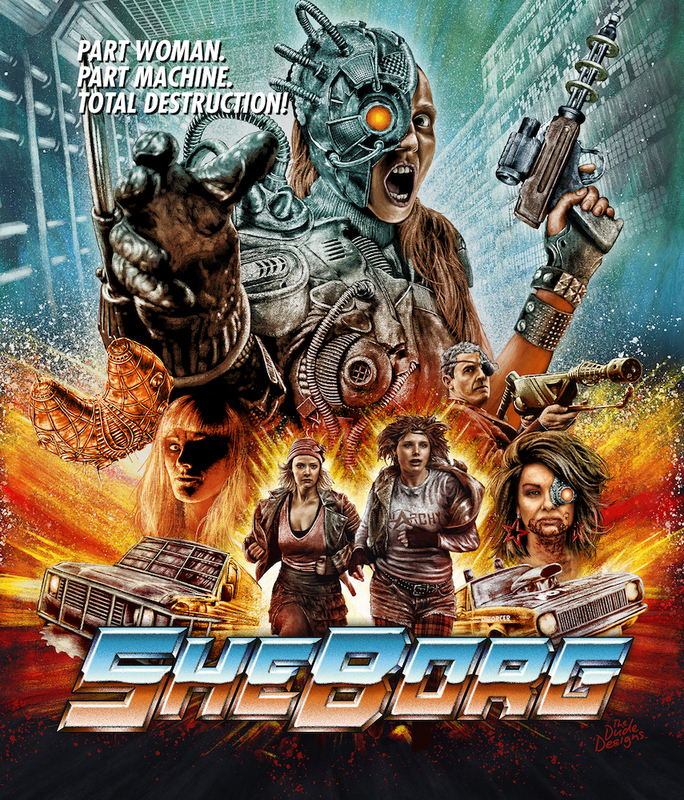 If SHEBORG sounds bonkers thats because it is, but its a fun ride throughout which will appeal to any genre fan.